By Sue Pearson – It is probably a good thing Kade and Lauren Schmidt do not have any close neighbors! 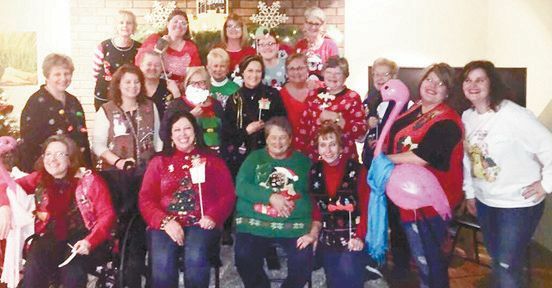 They GFWC Cheyenne Sorosis Club met at their beautiful country home Monday evening, December 18, 2017 for their Christmas Party. I think I live in the middle of nowhere, but the Schmidts’ live west of nowhere.